This week Nintendo made headline news announcing that it had chosen a new president to continue the work of the late Satoru Iwata, who passed away earlier this year at age 55. 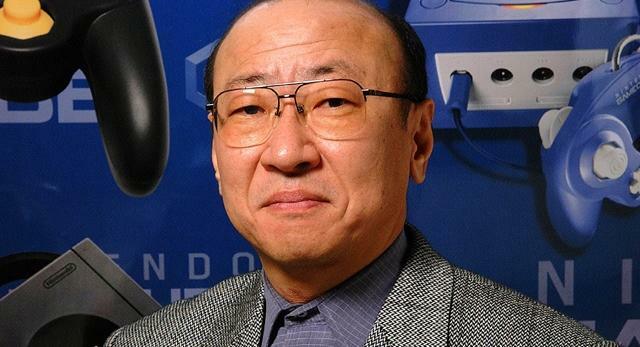 Some have questioned the choice of Tatsumi Kimishima as being "safe" or very clearly one aimed at giving the company some financial stability given his credentials as a banking man with little experience in game development. Others have a more long viewed theory. Kimishima is now at Nintendo's retirement age for non-executives, 65, a sign that Japanese business paper Nikkei believes he will not be holding the position for very long. The paper, other analysts, and myself as well, believe that he is only holding the position temporarily to "establish a future-proof group leadership system inside Nintendo." It is very clear that the company has been undergoing many changes, and the recent reshuffling of management might be pretty telling. Two of Nintendo's most recognizable faces, Mario creator Shigeru Miyamoto and Wii architect Genyu Takeda, have been running the company as interims since Iwata's passing, but in the recent executive movements, they have given up their titles of "General Managers" and have adopted Nintendo's new "fellow" title, meaning they are basically free reign advisers to help with both game and tech development. Miyamoto is the "creative fellow" to help with games, and Takeda is the "technology fellow" to aid with future console design. While Kimishima, who was not Iwata's first choice for successor, will certainly be able to run the company's financials, Miyamoto and Takeda are without question the best in the company to advise him on how the company should do what it does best: make great games and hardware. In the meantime, Nintendo has spent the last decade training a younger generation of game developers to take over the traditional roles of its superstars. Super Mario Galaxy director Yoshiaki Koizumi, Super Mario Maker director Yosuke Oshino, and Splatoon directors Yusuke Amano and Tsubasa Sakaguchi come to mind as people who will follow in the footsteps of Miyamoto and longtime designer Takashi Tezuka now that they have higher positions in the company. The same is true for its hardware engineers. Tatsumi Kimishima has only been elected to the presidential office for one term as well, so who knows if he will continue afterwards while Nintendo makes this transition. It is highly unlikely he will be reaching out to fans in the same passionate way Iwata did, and Nikkei describes him as "soft and friendly." However, he did predict the Wii U's struggles, so he might be the right man to launch Nintendo's NX console. His experience launching the GameCube in North America could be helpful in that regard. From there, we'll have to wait and see.